Worried about your kids not mastering the skills to manage their finances as adults? 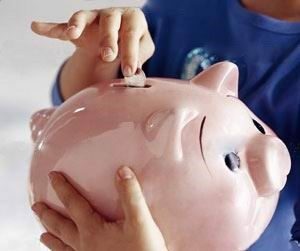 These tips for parents will help children develop good financial sense from a young age. Most parents want their children to achieve the Australian dream of home ownership. The good news is that parents can actually play a key role in making this happen by teaching their kids the basics of finance and instilling good behaviours that will last a lifetime. Children are sponges when it comes to learning, which is why starting their financial tuition from a young age makes perfect sense. Even in their earliest years, taking them shopping and paying for items with cash can allow children to quickly learn the basics of commerce and money handling. When they’re at the right age, get them involved by counting the money together. It should be fun and educational. As children get older, parents can explain to them the concepts of saving and budgeting. This will help them understand how to save for something they really want. Involve them in opening a savings account in their name, and making regular deposits with their pocket money. Most importantly, recommend they have a savings goal in mind and explain how their balance will grow over time. It’s also a good idea to talk about budgeting, because invariably they will be spending money at some point. A good strategy is to take them on a ‘financial tour’ of your home, showing them what particular things cost, including invisible items such as electricity. Show them the bills you receive for each, and detail how you budget for them from your own income. Depositing money into a savings account is one thing, but explaining how that money can earn interest on its interest is one of the most powerful financial tools children can learn. Using ASIC’s MoneySmart calculator, show them how much they can save using a long-term strategy. Part of the saving process for children typically starts with them receiving pocket money, but rather than just giving them money it’s better for parents to encourage their children to get a casual job once they’re of an appropriate age. This is one way of instilling a good work ethic that can be carried forward into adulthood. Older children, in their mid to late teens, can further improve their financial literacy by learning about more complex products and through practical experience. This can include teaching them about residential mortgages and how they work, and perhaps showing them data on how property prices have risen over time. It’s also good to explain how financial markets operate, including how interest rates are set and why it’s important to shop around for the best deals. Their education may even involve following shares or investments in fixed interest products such as bonds. The more they learn, the more their confidence and experience will grow. Being transparent and providing financial advice gained from your own experience will be invaluable to your children. Start from a young age, and continue the education process for as long as you can. Over time, involve them in what you do so they can build their own financial foundations for the future. If you’re considering helping your adult child buy a home, talk to your mortgage broker about the options available to you.